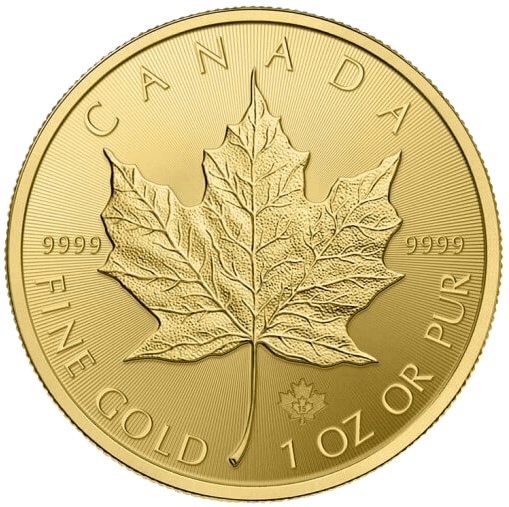 The 1oz Canadian Maple Leaf gold coin is one of the most liquid, recognised and highly sought after gold coins in the world. You are able to buy these from Australia's wholesale institutional precious metals markets (purchases in AUD only). A fantastic Forex opportunity exists with the current strength of the USD for those looking to get a great investment based on the potential of the currencies re-balancing to their historical norms in the future. You can benefit from directly accessing the Australian wholesale institutional bullion markets to get among the lowest premiums and price spreads available in the world. If you want to take advantage of the Forex rates, then you can have the gold Maple Leafs privately vaulted or delivered to you until you wish to sell them. 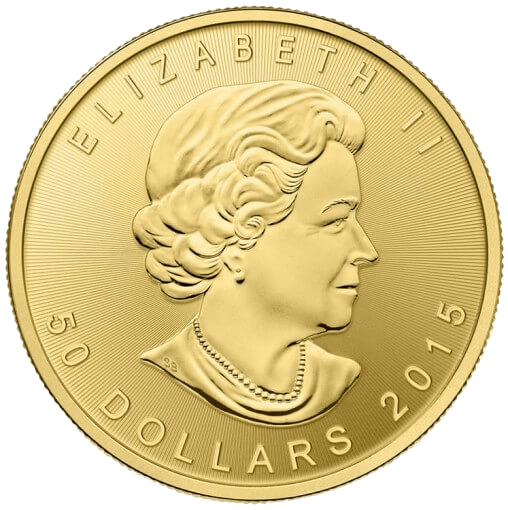 The Royal Canadian Mint has produced the 1 ounce Canadian Maple Leaf gold coin since 1982. These were the first coins in the world minted to a minimum fineness of 9999. 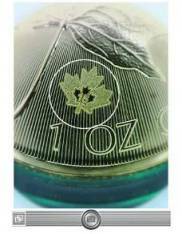 The Royal Canadian Mint is one of the few mints that is able to cater to unexpectedly high demand, such as what happened during 2008. This ability to match demand gives the 1 ounce 9999 gold maples one of the highest levels of liquidity out of all gold bullion coins. All trades on the Allocated Bullion Exchange, are executed under contractual conditions. Each precious metals product has its own specific contract details. The table below shows the information relating to the 1oz gold Maple Leaf coin. If you are unfamiliar with any of the terminology then please view our explanations. Our precious metals brochure holds all of the trade contract information relating to our full range of bullion products. To see what products are currently available, see our main products page. All of our physical precious metals have always been held inside a secure environment and come with documented proof of its chain of integrity that shows its movements all the way back the refinery and mint. However, the Royal Canadian Mint have tried to take security to a higher level as it knows that many of its coins are taken out a secure chain of integrity and it wanted a way for investors to be able to check the coin's authenticity. 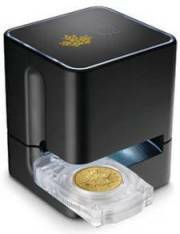 From 2013 onwards the Canadian Maple Leaf gold coin was produced with a special security engraving that is digitally registered with the mint, known as its Bullion DNA. 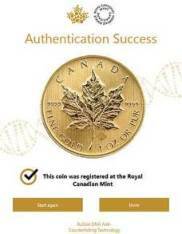 This allows authorised Bullion DNA dealers (currently only North American based only) to verify the authenticity of the gold maples with a level of confidence previously unavailable to the precious metals industry. 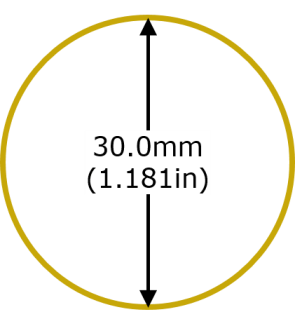 Every die used to produce the gold maple leaf coin is laser micro-engraved with an anti-counterfeiting security mark which is a textured maple leaf and in the centre of the leaf are the last two digits of the corresponding year of the coin's mintage along with microscopically thin radial lines on both sides of the coin. Please do contact us if you have any questions about any of our products or services. To start buying bars and coins globally to have them privately vaulted or delivered to you, create an account with us first, which you will find is an easy and simple process.